4) Developing a sustainability plan that will allow the network to continue beyond the funding period. This WP is lead by the University of Oxford. The map below shows the distribution of partners in this network. 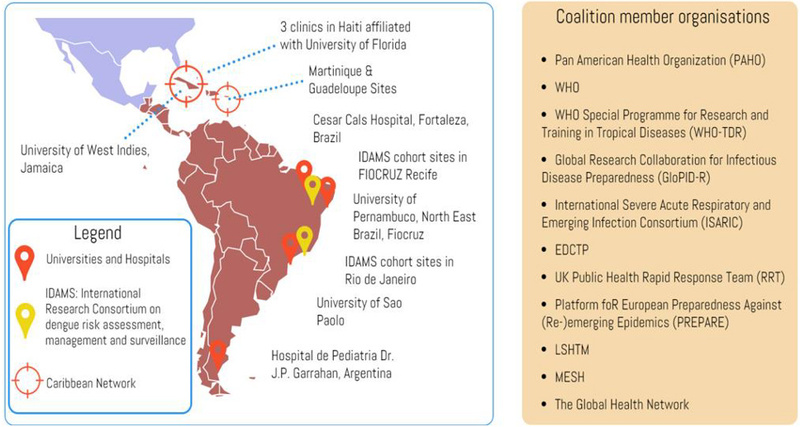 Specific tasks in this work package include creation of core preparedness structures, capacity building, educational activity review and development, training of reciprocal clinical monitoring network and the laboratory diagnostics EQA platform, shared online/distance learning modules and regional workshops, promotion of community engagement and creating a collaboration mechamism for external networks.